There Is No Third Console Curse. Don't Believe It. The next Xbox will be Microsoft's third video game console. And there are already those who say the still unannounced machine is doomed. You see, some believe in a Third Console Curse. Whether it's gamers on the IGN boards or GameFaqs, there's chatter of a "dreaded console curse." Heck, even as early as 2009, there were individuals online saying the next Xbox would be cursed! 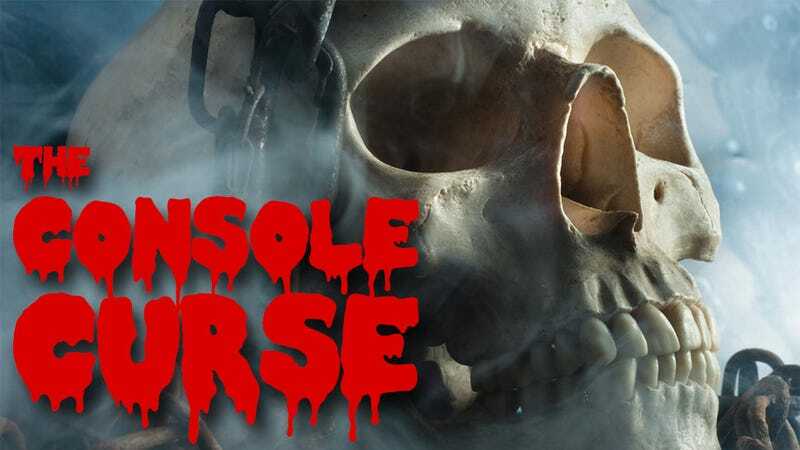 Typically, the examples—no, victims—given of the dreaded curse are the PlayStation 3, the Nintendo 64, and the Sega Saturn. Oh, some also say the Atari 7800 fell victim, too. Those examples are wrong. What's more, there just isn't a curse. It's hogwash. Because it's freshest in our minds, let's start with the PlayStation 3. Sure, the rollout was horrible, but would you really call the PlayStation 3 cursed? Selling over 70 million consoles? That's cursed? Really? There isn't a Madden Curse. And there certainly isn't a Third Console Curse. Just because you say something is cursed and point to follies, that doesn't mean it's been fated. With the Red Ring of Death fiasco and spectacular failure in Japan, you could argue that the Xbox 360 is cursed! It's not. Neither is the PS3. And saying either is cursed is plumb silly. Same goes for Microsoft's next console. Sure, the PS3 didn't match the PS2's numbers, but that's because the PlayStation 2 is the most successful home console of all time. Following the PS2 is like going on stage after The Beatles: a tough act to follow. Then, there's the Nintendo 64. Before you even start to dig into the argument that the Nintendo 64 was cursed, it's important to clarify whether or not the N64 was actually Nintendo's third console. Before Nintendo released the Family Computer (aka "Famicom") in Japan in 1983, it released the Nintendo Color TV Game in 1977. While a total of five Color TV Game consoles were released, wouldn't the dedicated gaming machine also be a console? It allowed you to play video games in your home. Or are we only counting machines that used physical media? That would be a strange rubric in defining a console, especially in our increasingly digital age. And if we do say the Nintendo Color TV Game was a console, do we count each machine as separate? If so, then the third console would be Color TV Racing 112, which was not a failure. But if we count the Color TV Game series as a single console, then the third console would be the Super Nintendo. That console was a tremendous success. Even if we say the Nintendo 64 was Nintendo's third console (and let's go ahead and do just that), the machine was also a success, especially when you compare it to the console that followed, the GameCube. Imagine if people thought the GameCube was Nintendo's third console! Just think of the conspiracy theories and death rattles. Grim stuff. Then, there's the Sega Saturn. Just to be clear: the Sega Saturn was not Sega's third console. Sega had already made a handful of game machines before the Saturn, and depending on what consoles you count, the Sega Genesis, which was released before the Saturn, is Sega's third console. It was also one of the best consoles ever made with a fantastic controller and a library of great games. The logic for naming the Sega Saturn the third console is to skip over earlier consoles, like Sega's SG-1000. That's the thing with conspiracy theories and curses: they are selective with history. And finally, there's the Atari 7800. As with Nintendo, Atari made dedicated game consoles, such as Pong. But after the Atari 2600, the pricey Atari 5200 with its awful controller wasn't the hit Atari hoped for. But neither was its successor the Atari 7800. Neither was its successor the Atari XEGS. Neither was its successor the Atari Jaguar. The history of video games is littered with consoles that never made it. Some of them were later machines. Others were first or second efforts. At some point you have to scratch failure up to mismanagement and bad products, instead of curses—and vice versa for a console's success. Judge the next Xbox on the decisions that Microsoft makes, the games the console gets, and the experiences you have. Forget the hocus pocus.